As a company committed to giving our clients the best service possible, The SEO Works is excited to announce that we are featured in the Clutch 1000, an exclusive list of top rated companies from all over the world. This exclusive list of leading organizations helps businesses seeking to invest in marketing, IT, development, or design services make buying decisions with confidence. Clutch is seen as the “Which” for business-to-business service providers. It’s an independent B2B ratings and reviews platform that looks at a company’s market presence, the services it provides, and most importantly reviews from its clients, to determine its rankings. 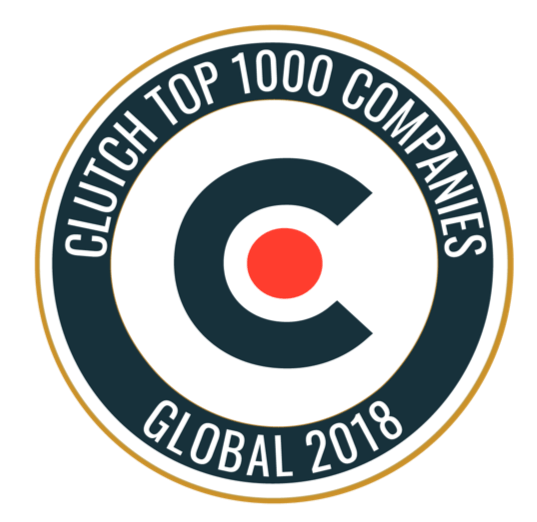 Being included in the Clutch 1000 means that we are amongst the top thousand service providers worldwide, and recognizes the companies that have gone above and beyond for their clients. You can read more about the selection methodology here. They have a reputable team with some exceptionally talented individuals, and we’ve been fortunate enough to have had most of them working on our project. They understand my business and what I want to achieve. Other companies may give you a lot of statistics on what they can do, but I find that The SEO Works sticks to the work and actually delivers. Ben Foster, Managing Director at The SEO Works said: “We are committed to providing our clients with the highest level of service possible. This means having a team that is not only knowledgeable, competent, and flexible, but skilled in communication and ready to adapt to new situations and obstacles as trends in marketing shift. We’re delighted to be ranked at the top of our game globally, for the services we provide”. Thank you to Clutch for this recognition, and to our clients for making us one of the top SEO and PPC agencies in the world!